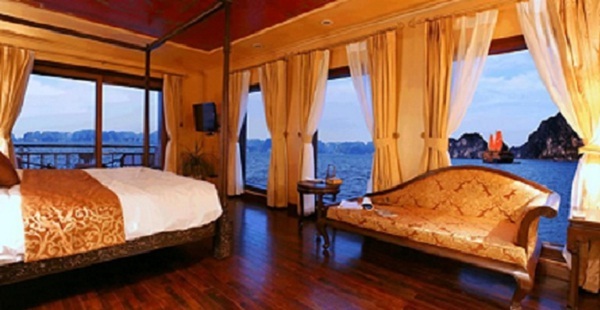 Violet Cruise Halong bay has come into operation since 1st October, 2009. The cruise is a five star Halong bay cruise with luxurious design that you will find its interior and decoration worth to admire. It’s a combination of traditional elegance and modern comfort. The Violet is named after the beautiful Violet Chirita, a delicate purple-flowered plant that grows nowhere else but on the rocky slopes of Halong Bay. Composed of 6 individual themed cabins all including a marble bathroom, Jacuzzi and private balcony; the Violet also features a boutique dining room, library & lounge, as well as a state of the art spa & gym. The cruise got well annual maintenance and it still remains the top luxury cruise on the bay. Four Violet Suites decorated with different topics: Dragon, Phoenix, Moon and Cloud Entertain lavishly in a 43 sqm suite offering elegant Indochina 1930 decor featuring warm, exotic woods, fabrics and hand painted walls &ceiling. 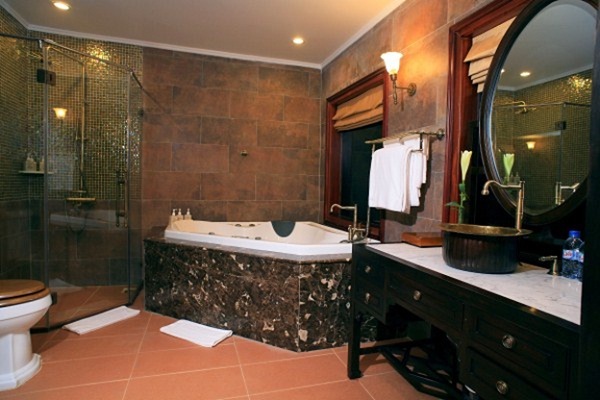 Exclusive amenities include plush king bedroom with private balcony & Jacuzzi on upper deck. There are many activities offered on Violet Cruise such as Beach, swimming, sunbathing on the sundeck; Diving and kayaking; Visit the floating village; Cooking classes; Sunrise Tai Chi; Dining and entertainment and etc. Violet Cruise is the best choice to do. 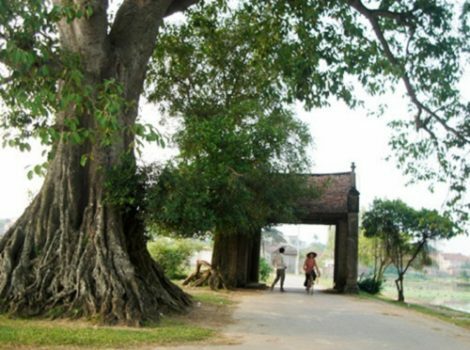 Tourists can reach beautiful beaches for swimming or walking on sandy ground for leisure. You will have opportunity to enjoy cozy sunlight of the tropics with a sunbath on the sundeck overlooking the bay. You can feel refreshing sea breeze and greet the sunrise in a healthy way. 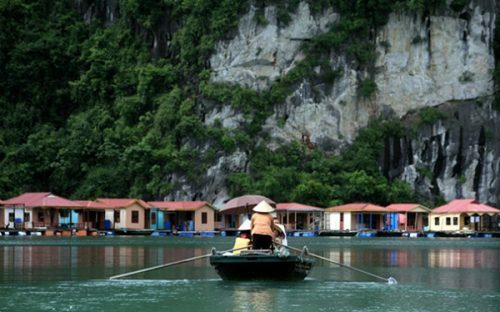 You will find a Halong Bay that is plenty of wild and magnificent beauties. Violet Cruise is an ideal junk for family gatherings, honeymooners, or couples of friends who love to explore the exotic bay still enjoying, however, elegant comforts. 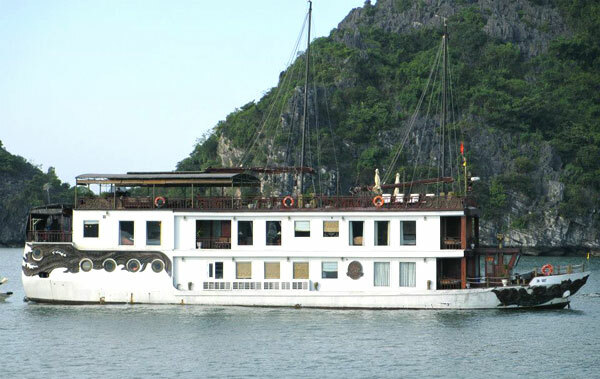 Come and enjoy your best time in Halong Bay on Violet Cruise Halong.